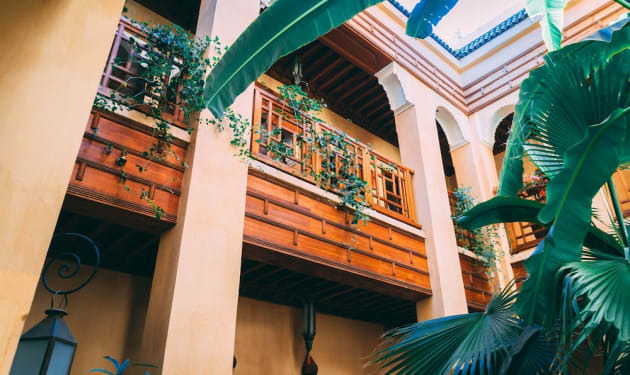 Enjoy Moroccan cuisine at Riad Al Ksar & Spa, a poolside restaurant where you can enjoy drinks at the bar, take in the pool view, and even dine alfresco. You can also stay in and take advantage of the room service (during limited hours). Mingle with other guests at the complimentary reception, held daily. Wrap up your day with a drink at the poolside bar. A complimentary continental breakfast is served daily from 8:30 AM to 10:00 AM. With a stay at Riad Opale, you'll be centrally located in Marrakech, a 5-minute drive from Jemaa el-Fnaa and 10 minutes from Menara Mall. This 4-star riad is 2.4 mi (3.9 km) from Palais des Congres and 3.3 mi (5.4 km) from Menara Gardens. Satisfy your appetite for lunch or dinner at Traditional Restaurant, a restaurant which specializes in Moroccan cuisine, or stay in and take advantage of the 24-hour room service. Unwind at the end of the day with a drink at the bar/lounge or the poolside bar. A complimentary full breakfast is served daily from 8:30 AM to 11:30 AM. Take time to pamper yourself with a visit to the full-service spa. You're sure to appreciate the recreational amenities, including an outdoor pool and a spa tub. 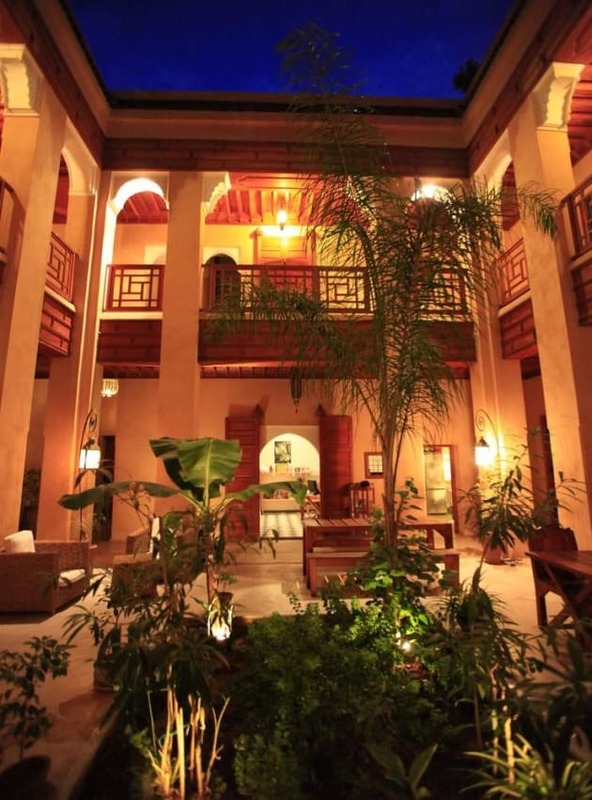 Additional amenities at this riad include complimentary wireless Internet access and tour/ticket assistance. With a stay at Riad Dar More in Marrakech (Medina), you'll be within a 15-minute drive of Jemaa el-Fnaa and Menara Mall. 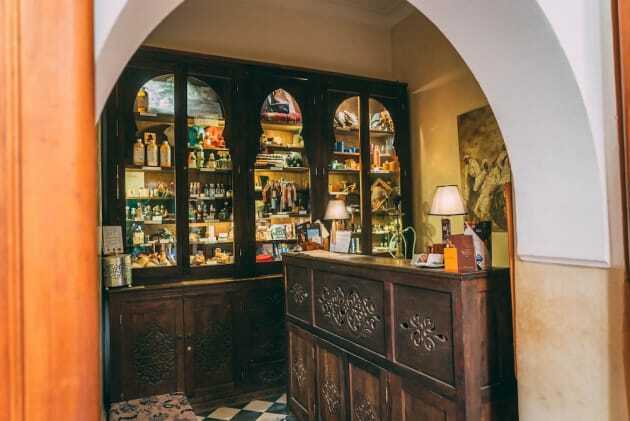 This 4-star riad is 2.4 mi (3.9 km) from Palais des Congres and 3.3 mi (5.4 km) from Menara Gardens. Satisfy your appetite for lunch or dinner at LE PAVILLON ORIENTAL, a restaurant which specializes in Middle Eastern cuisine, or stay in and take advantage of the 24-hour room service. A complimentary full breakfast is served daily from 8 AM to 11 AM. Featured amenities include a computer station, express check-in, and dry cleaning/laundry services. A roundtrip airport shuttle is provided for a surcharge (available 24 hours), and free self parking is available onsite.